The management in mobile ad hoc networks is quite challenging as compared to management in wired networks. Several management strategies have been proposed by authors using either pro-active or reactive routing protocols. 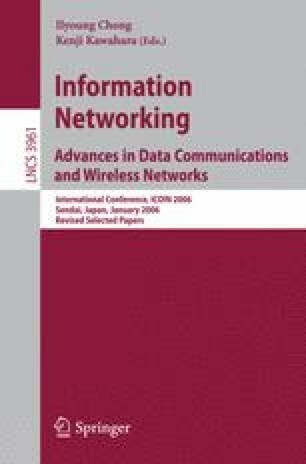 In this paper, we propose a policy-based management framework for ad hoc networks in which policy servers can efficiently communicate and service their clients using Location-Aided Routing (LAR) as underlying routing protocol. In our position-based system, all nodes including Policy Decision Points (PDPs) and Policy Enforcement Points (PEPs) have GPS capability. These nodes can estimate their positions with GPS by using Extended Kalman Filter (EKF), which also provides velocity information that is required for LAR algorithm to calculate distance traveled by a destination node. We present a dynamic clustering mechanism, a modification in COPS protocol, and a change in LAR protocol, which makes the management more efficient and effective. Our proposed system is first of its kind which uses position information in a management framework. This work was supported by NCA Korea.